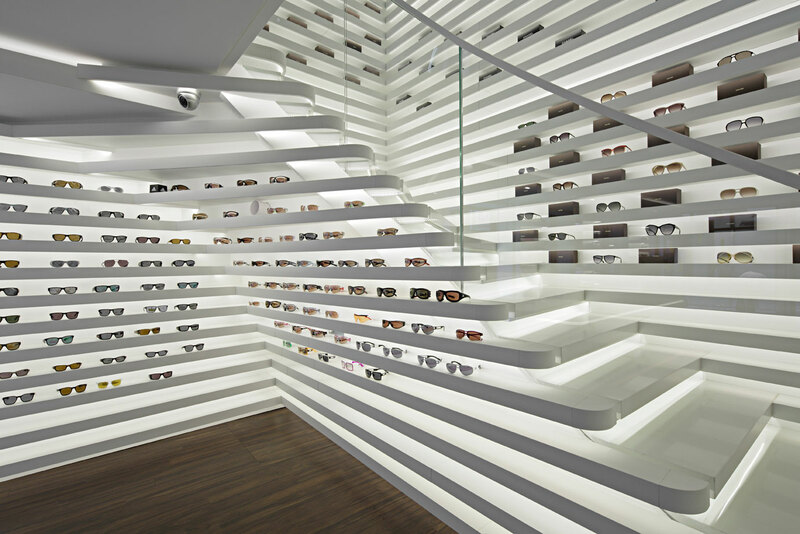 In this Store we choose the shelf as the leading issue of the shaping. 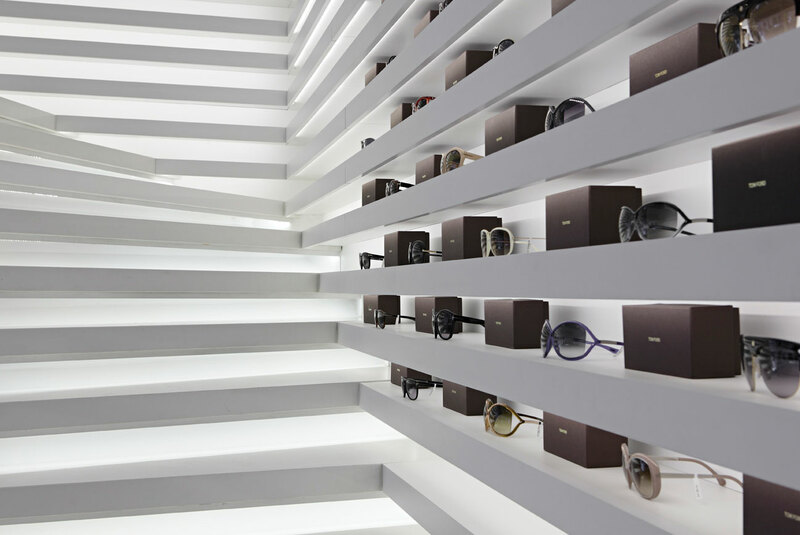 The concise shelf system starts from the entrance and develops until the back yard of the lathy shop area. 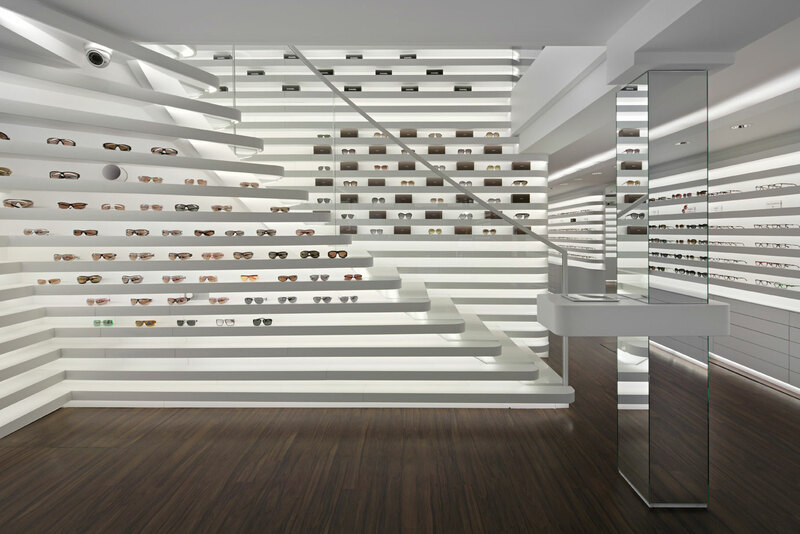 The steps of the new designed staircase grow naturally out of the wall shelfs and configurate a particular sculptural ensemble. 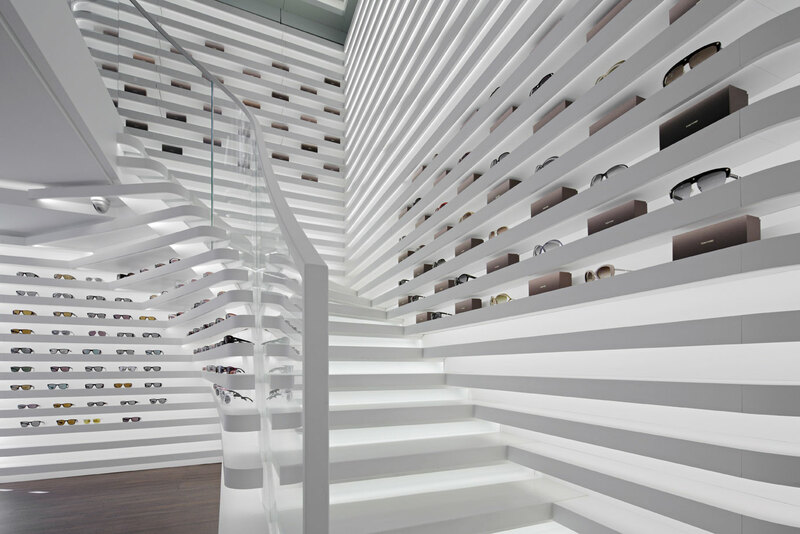 The concept was to design a walkable shelf. 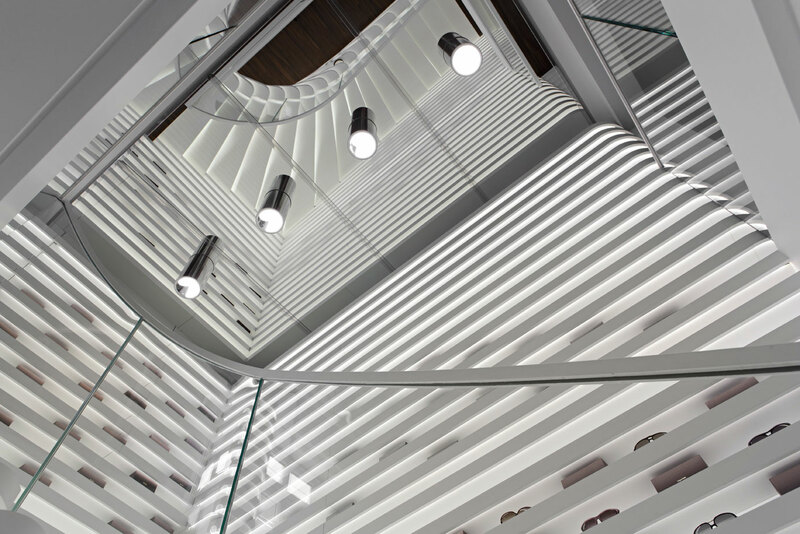 Because of a filigree glas railing the staircase merge perfectly with the other interior. 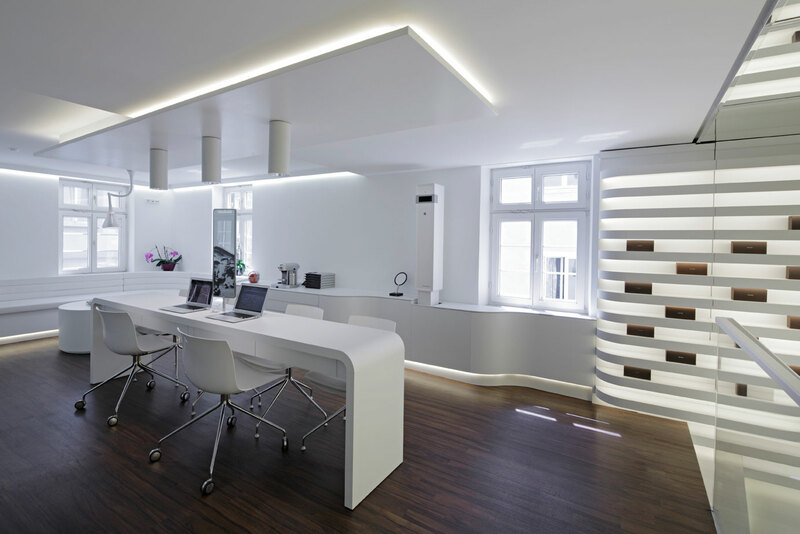 To emphazise the floating architecture, the furnitures have rounded edges. 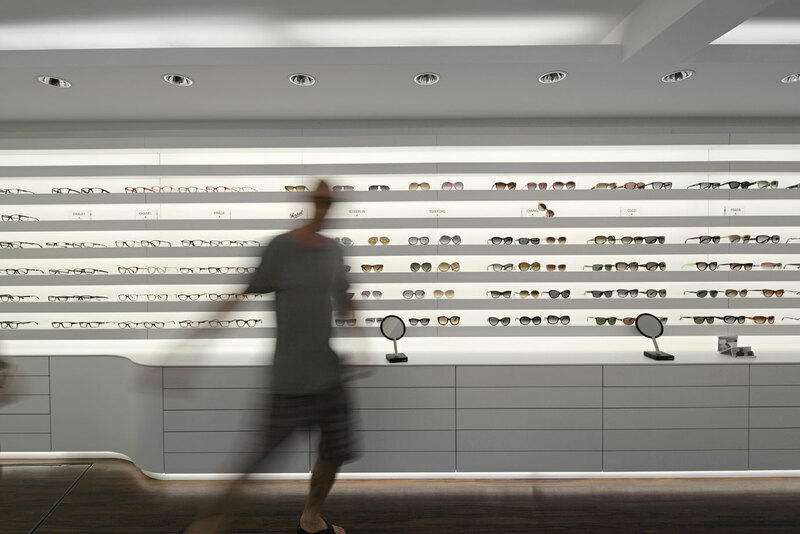 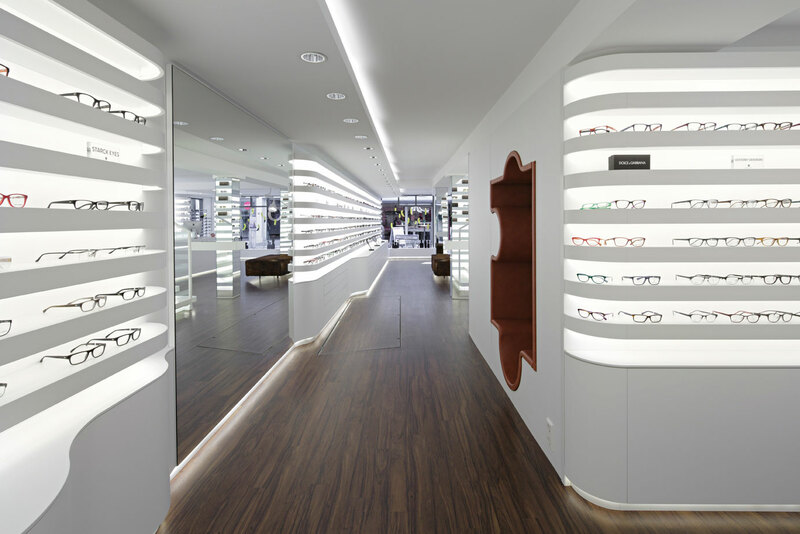 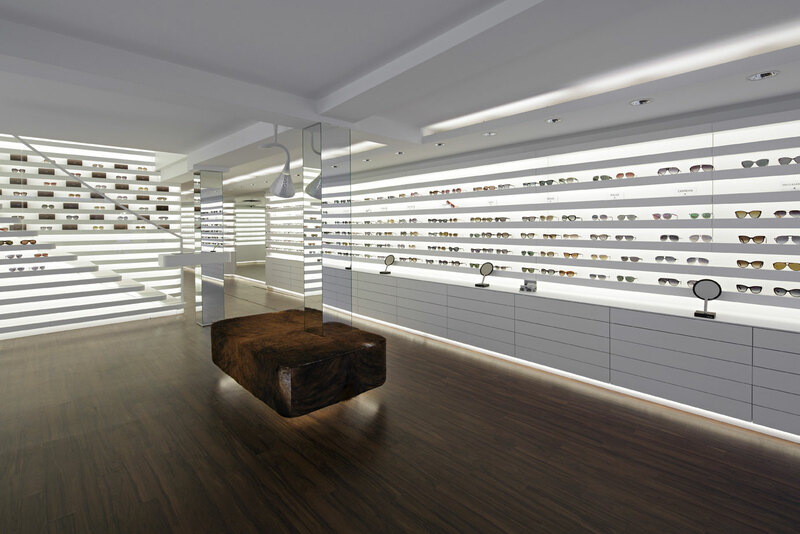 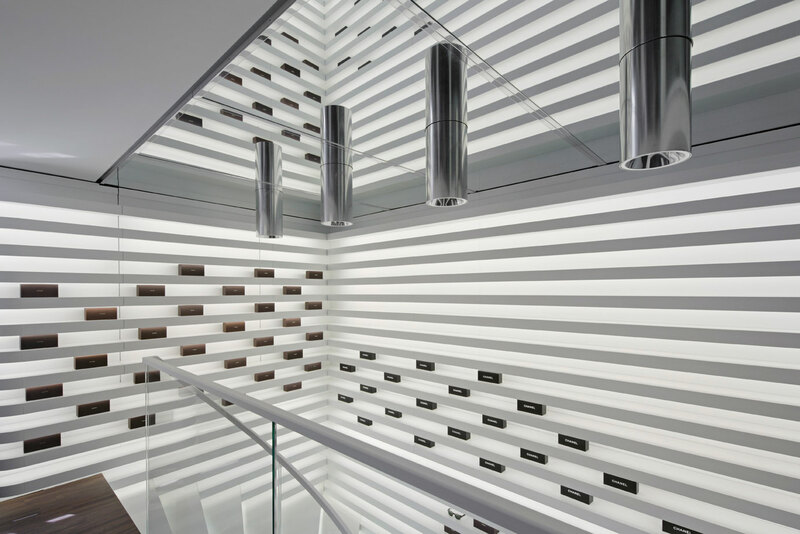 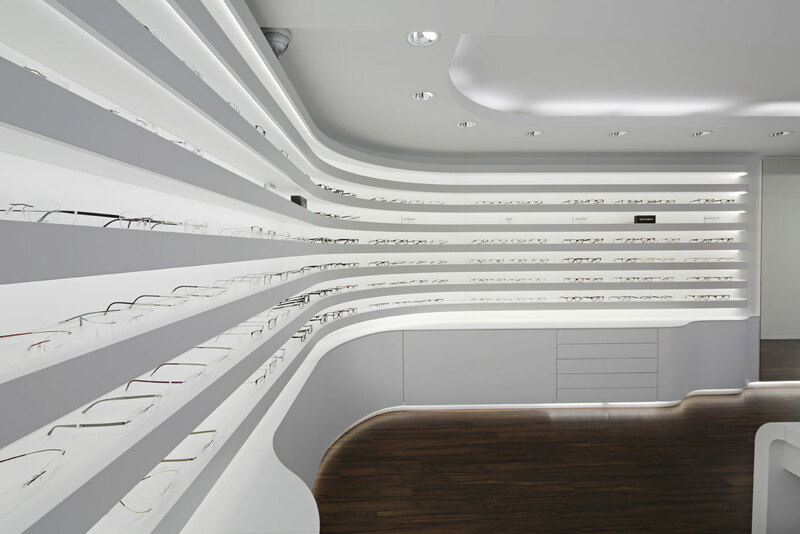 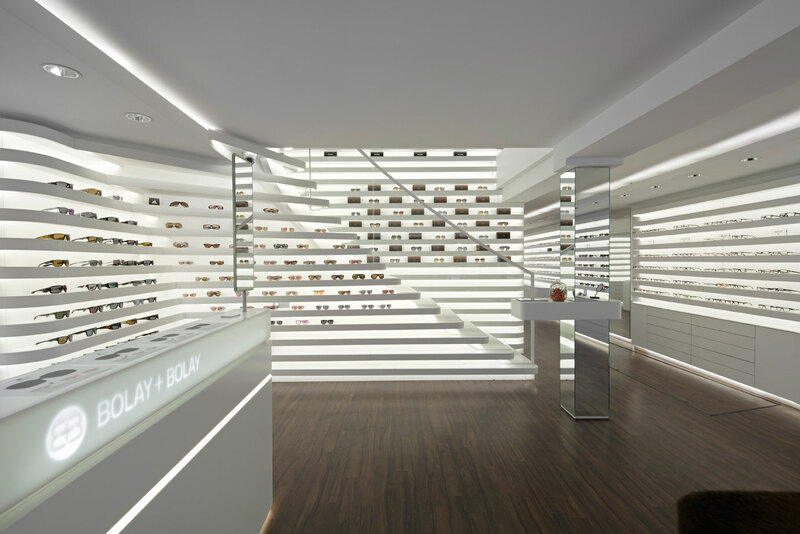 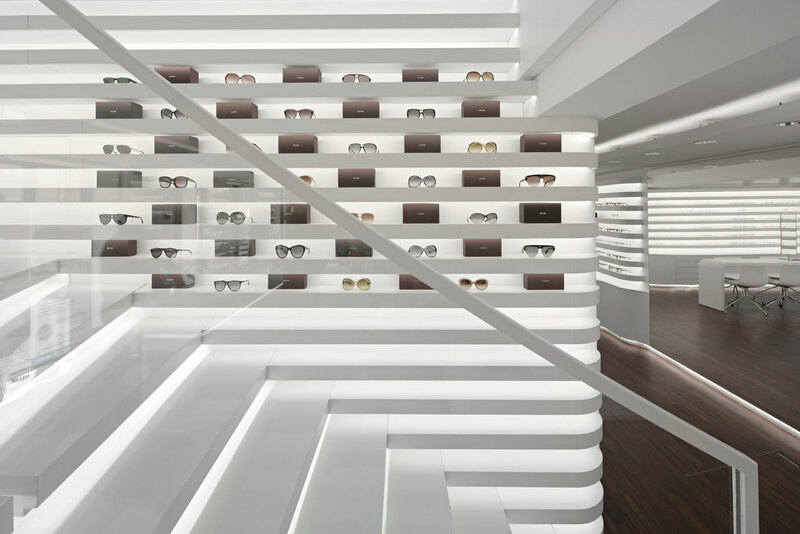 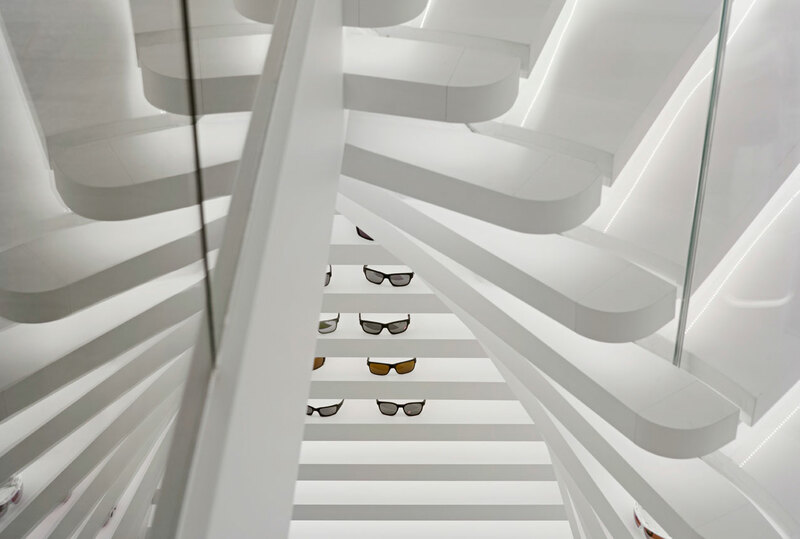 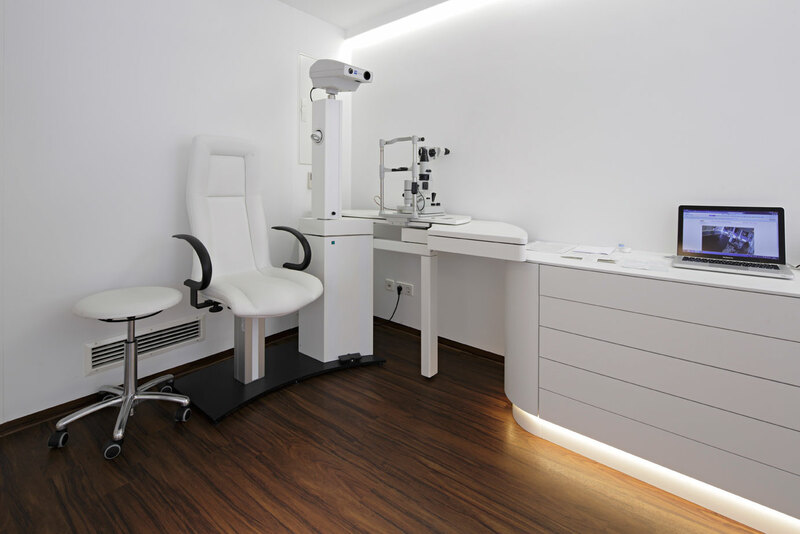 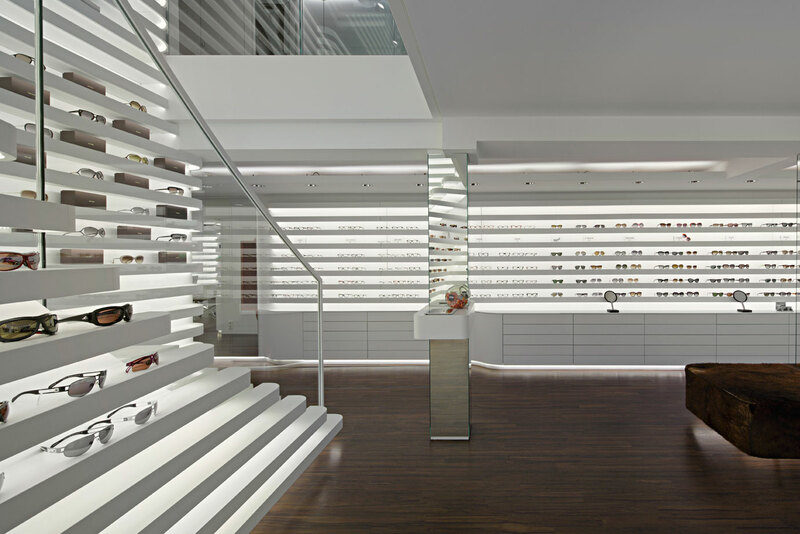 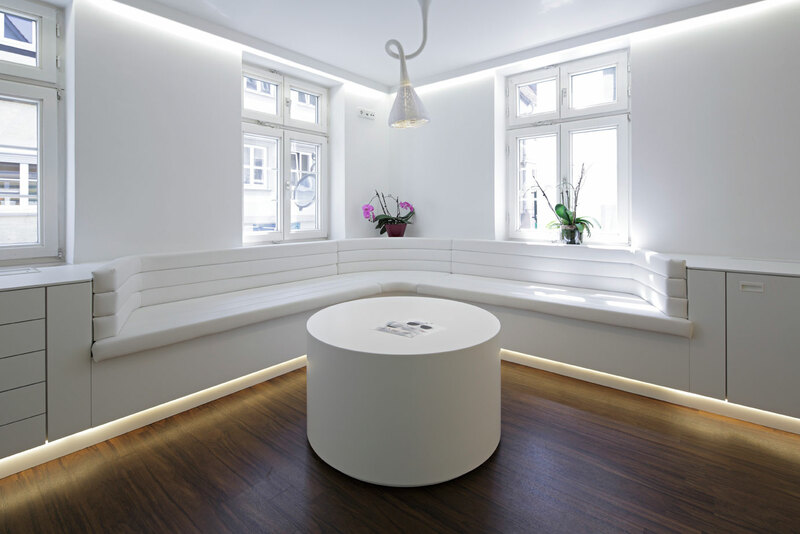 It´s the contrast between modern interior design and a historical half-timber house which gives this optician store its uniquness.